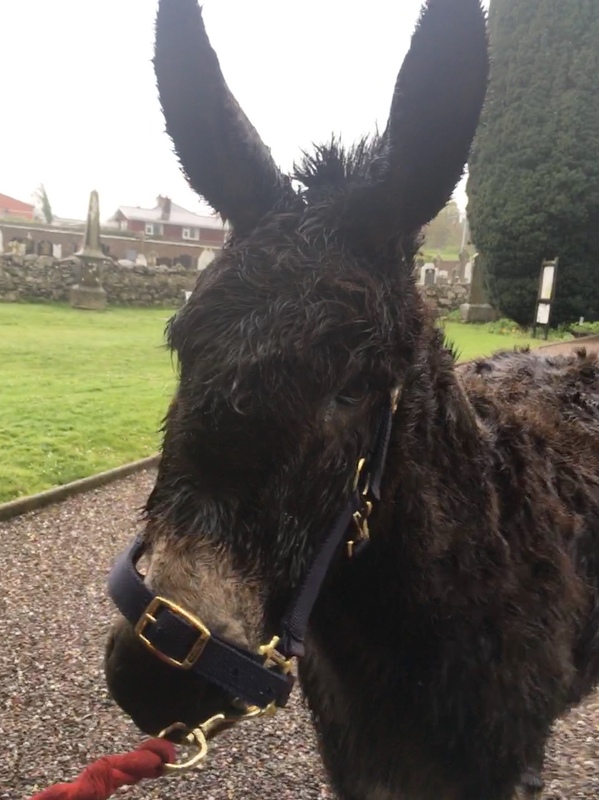 A very wet Billy the Donkey, who had come to church specially for the Procession, was disappointed. 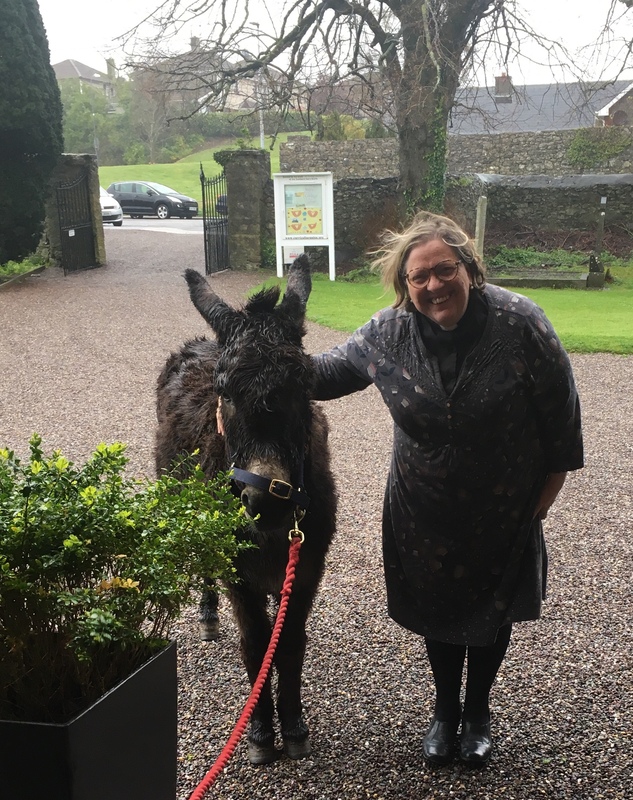 The Reverend Elaine Murray with Billy the Donkey. Palms abounded all over the Diocese as usual to commemorate the entry of Jesus into Jerusalem at the start of the week now called Holy Week. 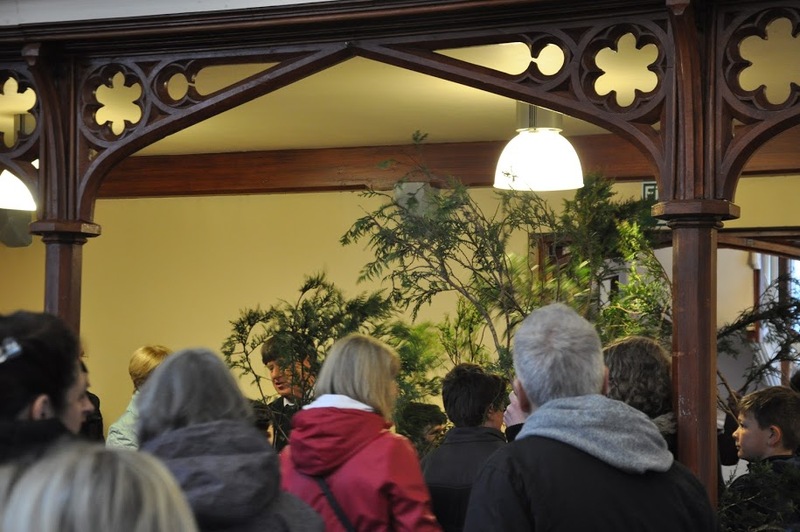 Carrigaline Union of Parishes had a United Service in St Mary’s Church Carrigaline for Palm Sunday. 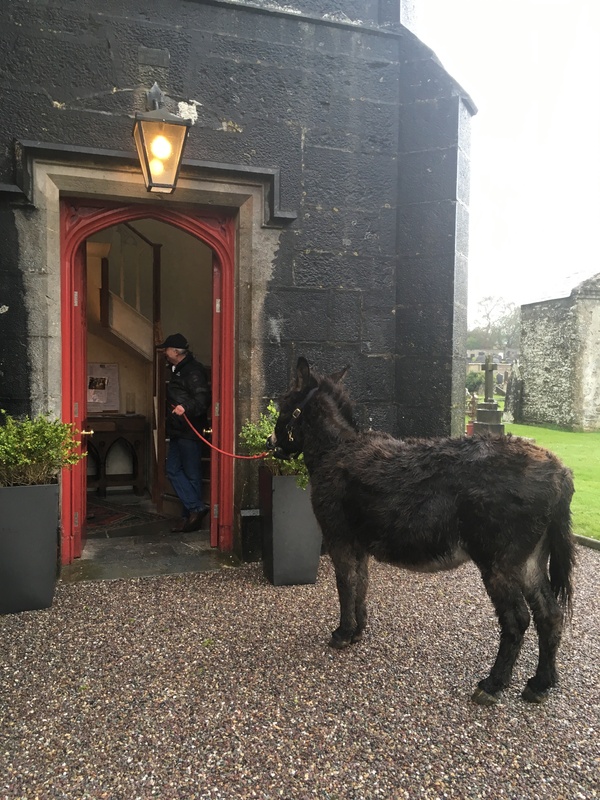 Unfortunately as there was a Code Orange Weather Warning , no Palm Procession was possible and a very wet Billy the Donkey, who had come to church specially for the Procession, was disappointed. Waiting outside, Billy the Donkey, before he was brought home to stay out of the storm. The congregation held up their Palm Crosses indoors to be blessed and the Service continued as normal. 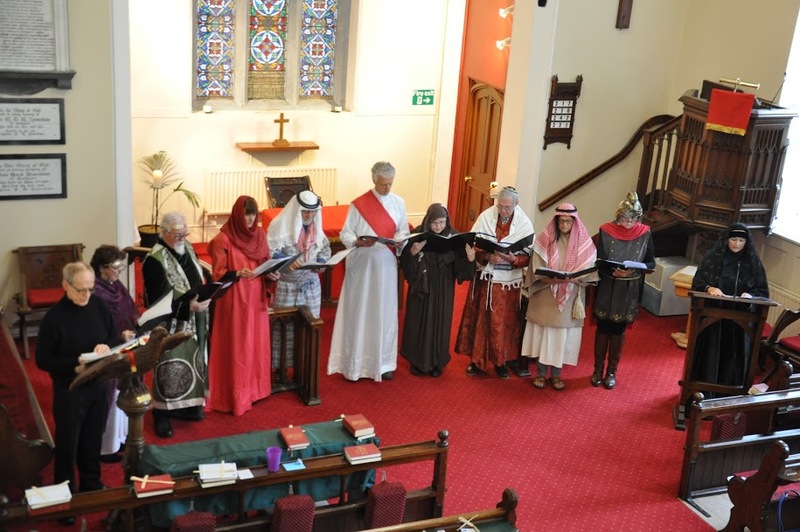 There was a dramatised reading of Saint Matthew’s Passion Gospel by the Parish Drama group. Reading of The Passion by the Parish Drama Group in Carrigaline. The the congregation left under the Palm branches held aloft by the children of the parish,. Branches held aloft to provide a canopy for people leaving the church. Afterwards, in Carrigaline, parishioners joined in a ‘Famine’ Lunch in the Parish Hall organised by the Mothers’ Union. Famine Lunch organised by the Mothers’ Union in Carrigaline. This entry was posted in Church Services, Churches in Cork, Diocese, Holy Week, Mothers' Union, Palm Sunday, Voluntary Work. Bookmark the permalink.